The Blue Heron discs have been printed and are on sale at the park office. I will be leaving soon for basic training and job training for the National Guard. I will be learning Information Technology, and should return home to Buffalo in March or April of 2009. There will most likely be a redesign of this website when I return. [08.18.08] 3C Multimedia video added to "Animations"
[08.13.08] Bilderburg model added to "3D Characters", the "2D Art" section has been redone with some newer work. 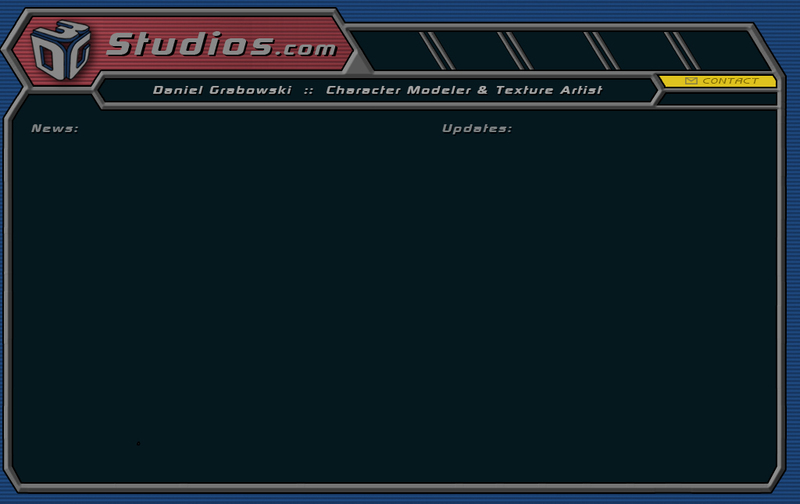 [03.26.08] New CG Girl renders added to "3D Characters", Idle Animation movie added to "Animations"